Contact us today to schedule an appointment to find out what we can do for you. 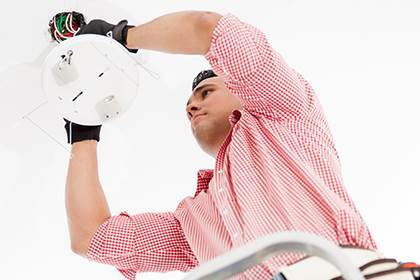 When it comes to electrical services, you want to make sure it is done right. Electrical systems are potentially the most dangerous system within your home. Don’t put yourself or your loved ones at risk by doing it yourself. 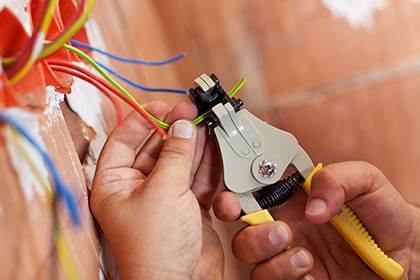 Rely on us, the professionals at Call 1 Home Services, to take care of your home’s electrical issues. You can rest assured that Call 1 will safely and reliably complete your electrical project to code and in a timely fashion. Call 1 can help repair existing fixtures or install new ones. We can fix any electrical problem you may have from flickering lights to outlets that have stopped working. You name it, we’ve got you covered. Call us at 704-614-3420. All home contractors and handymen are not the same. We hear the horror stories; a repair man left the homeowner with a bigger problem and ran off with their money, phone calls left unanswered. We don’t work that way, and our reviews reflect that. We are the guys who clean up other people’s messes. Call us first and avoid a horror story of your own. Call 1 Home Services is a family-owned general contractor, specializing in renovation and handyman services since 1992. Call 1 can help you with all of your home construction needs. We can handle any home improvement or repair, from plumbing and electrical needs to smoke and water damage. We pride ourselves on doing any project with the highest standards of professionalism and craftsmanship. What is your schedule and how long will my project take? Don’t just get a start date and an end date; get completion dates for items along the way. This helps you know when workers will be at your house and helps to keep the project on schedule. What will my project cost and can I get it itemized in writing? Obviously, it is important to get a cost for your project before work begins, but you should also know whether the prices are an estimate or an actual final cost. Getting the costs itemized also helps in case you decide to remove a piece or need to decrease the overall budget. And getting it in writing assures that there are no misunderstandings. Who will be working at my house every day? Some companies will send a salesman to sell you the job but then you never see him again. Make sure the person you review your project with, will also be on the job site to ensure your desires are met. It is also good to know who to expect inside your home on any given day. Will the company you hire use dust containment measures during demolition? Will they make sure drop cloths are down before sanding or painting begins? Will the construction area be isolated from the rest of your home? Will they be careful when moving any of your belongings? And will they remove all their mess when they are done? What is the best way to communicate with you? With so many options for communication, it can seem impossible to have a conversation with your contractor. Find the best method for reaching your contact person and ask to learn how long it generally takes them to return calls. What happens if I need to make a change? If you need to make a change to the work you have agreed to, ask the contractor to let you know immediately if it will change the cost and the timeline. This is best done in writing to avoid any mistakes or miscommunications.